Demand justice for SeaTac workers! 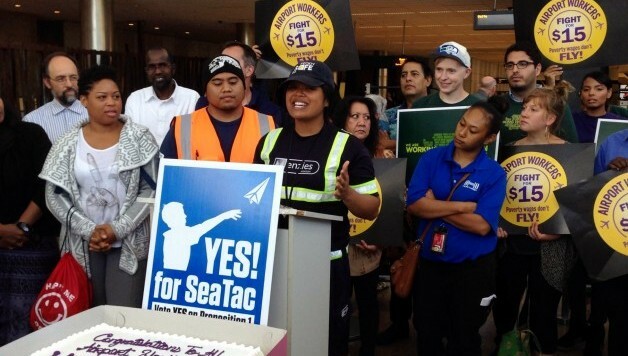 Alaska Airlines Denies Workers at SeaTac Airport $15, Again! Today over 70 airport workers walked out in protest because they have still not received the backpay they’re owed and a $15 minimum wage. Alaska Airlines and others are asking the State Supreme Court to reconsider their recent ruling that upheld SeaTac Proposition 1. We stand in solidarity with SeaTac workers and ask all our supporters to call Brad Tilden, CEO of Alaska Airlines 206-392-5101 and demand that he respects workers’ rights. Representative of working families or corporations? Guess who got the maximum donation from Brad Tilden, along with donations from all the businesses that fought against the $15 minimum wage? That’s right, our opponent. In this race, voters have a clear choice. 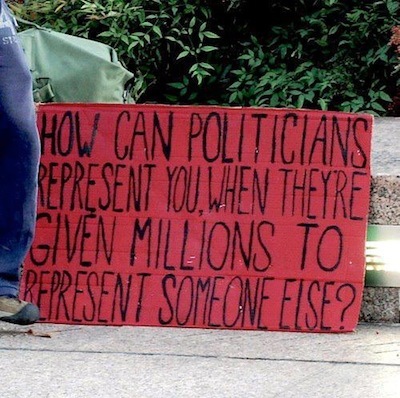 They can re-elect a representative for working families or someone who accepts money from the CEO of a corporation who continues to deny justice to the workers of SeaTac airport. Help us cancel out Alaska Airlines CEO Brad Tilden’s $700 donation to our opponent. Donate today.